This is the fourth part of a multipart interview with Ian Cron about his novel, Chasing Francis, which after three years is garnering more acclaim than it did in year one! You can keep up with Ian on Twitter @iancron. Mike Morrell: Chasing Francis features this protagonist Chase Falson, who starts Putnam Hill Community Church in New England. In the process of transitioning from a professionalized Evangelical persona, he rediscovers mystical and activist faith. Along the way he loses the congregation he started. So, you too, started a thriving congregation in New England and recently left the church you co-founded. Dare I ask, what are the parallels between you and Chase, and where do these similarities end? Ian Cron: I once heard someone say that everybody’s first book is, to some degree, autobiographical. There are pieces of Chase that are definitely a part of my own personal narrative. 3 years before I started Trinity Church, I began to feel a great sense of dis-ease with the Evangelical culture I had been living in. I remember reading The Post Evangelical by Dave Tomlinson and nearly crying. About 3 years later Brian McLaren wrote A New Kind of Christian and the journey to something new really began for me. There are definitely pieces of Chasing Francis that are autobiographical. Trinity, during my 10 years, however, was not anything like Putnam Hill, the church in the book. If anything it started off evangelical and became much more of a haven for orthodox progressives as we went on over time. I was thrilled at the kind of theological questions we were asking as a staff and as a community toward the end of my time there. MM: Isn’t orthodox progressive a contradiction in terms though? IC: I don’t think it has to be either/or. MM: Do tell, because a lot of people out there seem to think it does. IC: I don’t think orthodoxy has to be static. I think orthodox progressives tend to have more theological fluidity and openness than other traditions. I think orthodox progressives recognize that we should always be self-criticizing our own theology, always interrogating our own assumptions, and when we do that, we’re going to make theological adjustments throughout the course of our lives and that’s OK.
MM: So, did you go on a pilgrimage to Italy yourself? I figured you’d almost have to have because of the way you describe the sights, the sounds, and especially the tastes and flavors of Italy. IC: Yeah, I was there for 3 weeks on a pilgrimage with a group Franciscan nuns and friars. It was remarkable. 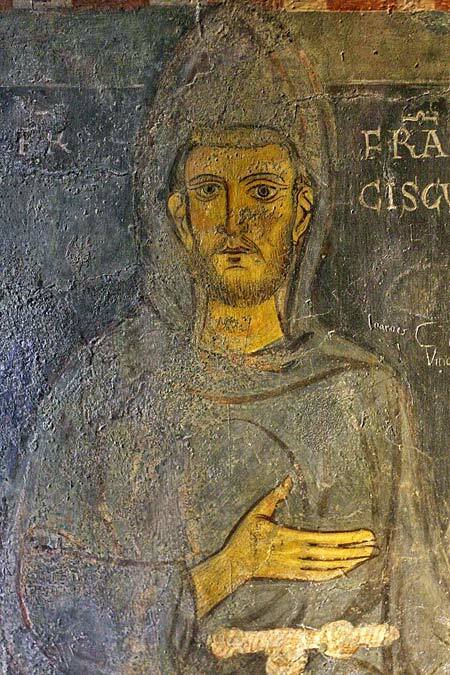 A lot of them were elderly and had never been to Assisi before, so they were “coming home”, some of them at the end of their lives, to the place where their founder had lived. It was really moving because everywhere we went was such an “aha”, eye opening moment for them. It was very, very beautiful. It was a great experience. This is the second part of a multipart interview with Ian Cron about his novel, Chasing Francis, which after three years is getting more buzz and not less. You can keep up with Ian on Twitter @iancron. 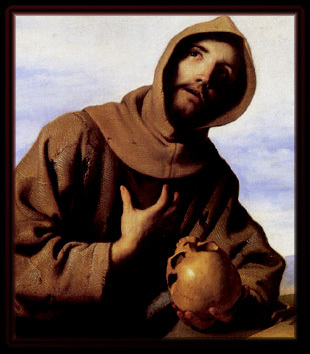 Mike Morrell: St. Francis seemed to have a wise way of living the change versus being a “protest person.” If you start giving all of your energy to criticizing something, you set your self up to become the mirror image of the very thing you’re critiquing. Ian Cron: I think that’s right. Francis did so many things that were important for us to consider today, especially in the spirit in which he did them. I felt it was important for people unfamiliar with his life to hear about them. The fact that he was an artist versus an academic I thought was important as well. In fact he was suspicious of academics, and the Academy as a whole. He was reacting to the rise of scholasticism, and the birth of universities. I think what he was afraid of was that Jesus was going to become a theological abstraction versus a living reality. IC: Which, in part, is what’s happened! So many of us relate to Jesus in theological debates as if he is an interesting idea, something notional. MM: Right. And you end up viewing theology as though Jesus is not in the room with you; as though God is not present with you. MM: The radical commitment to the poor, his being an artist versus an academic, creation theology, peacemaking, treating Jesus as though he’s really in the room – as I re-read Chasing Francis three years later, these are some of the things that make Francis relevant. IC: By the way, his relationship with women was really unusual for the time as well. 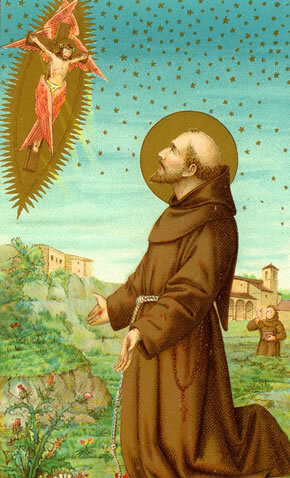 His relationship with Claire, and his saying “Look, let me help you start an order for women based on Franciscan ideals” was revolutionary for that period. There are other wonderful things about Francis I talk about in the book but this gives you a flavor of it. MM: So, you said something interesting in the beginning, that Ronald Rolheiser and Richard Rohr said we need more Francis’s today. Why do you suppose we don’t have more Francis’s today, or do we, and we pay less attention to them? IC: Well, I am going to give you one answer that is somewhat tongue-in-cheek but its not completely facetious. The first one is this: there may be Francis’ out there, but they might be psychiatrically medicated. IC: I’m just being completely honest. Today Francis would be considered delusional. Freud wouldn’t come along for 600 more years. There were no medical models for treating mental illness. Today, he would be diagnosed as having Bipolar Disorder, Frontal Lobe Epilepsy or some other ailment. Today we would pathologize his spirituality and medicate it away. That’s true of so many of the saints. Can you imagine what would happen to St. Theresa? They would have her on Haldol or Lithium in a heartbeat. MM: It’s true. It seems like our thinking about what is sane and what isn’t does keep out some true craziness but it also keeps out a lot of genius. IC: I also think Francis we don’t have more Francis’ out there because its just too costly. He scares the hell out of most people, me included. For centuries he’s been called “The Last Christian”, for embodying the gospel in a way that ‘s unparalleled. Some called him the “Second Jesus.” Most of us have been so co-opted by the powers and principalities of materialism, of modernism, of fear, that it’s really difficult to get to this kind of place. I think there are some who have the spirit of Francis out there, but they are mostly unsung heroes. This concludes part two. Part one is here. The Chasing Francis interview is to be continued..!